WHEN IT COMES to humpback whales, federal and state officials are asking boaters to follow basic traffic rules, but out at sea. And with a growing whale population -- a rate of 7 percent each year since the mid-1990s -- slowing down and keeping a proper distance is not only good environmentalism, but good boat safety, said officials from the National Oceanic and Atmospheric Administration and the state Department of Land and Natural Resources. Several workshops are being held statewide for boaters to safely and legally navigate their vessels during whale season. Several workshops will be conducted statewide in an effort to educate boaters to operate their vessels in a way that is safe for boaters and the endangered species. With up to 10,000 expected to visit island waters this season, humpback whales are creeping out of the endangered-species category, said Jeff Walters, co-manager of the Hawaiian Islands Humpback Whale National Marine Sanctuary. There were 5,000 humpbacks in North Pacific waters about 10 years ago, Walters said. And as more whales swim to Hawaii from icy feeding grounds like Russia and Japan, boaters are navigating around about 1,000 calves born each year in Hawaii. 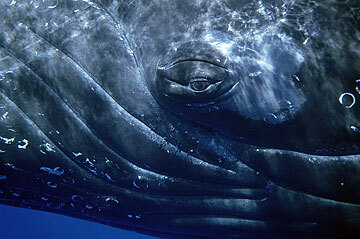 Hawaii's humpback season is from November through May each year, peaking between January and March. With typically no more than three strikes each season, last season's six collisions were alarming. "You do not want to run into a 45-foot, 40-ton animal," said Edward Lyman, the sanctuary's marine mammal response manager. "It's going to cause serious injuries to the people on the boat ... maybe even fatalities." Lyman said the whales "take advantage of the clear, calm and protected waters of Hawaii," which have become birthplace of humpbacks in the North Pacific. 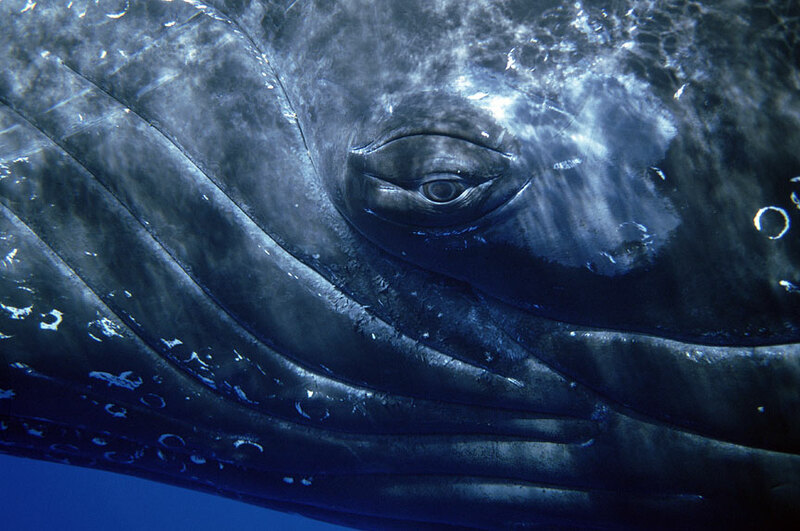 Humpbacks were placed under international protection in 1966, and are shielded under federal and state laws. Federal regulations prohibit approaching them closer than 100 yards, or above 1,000 feet in an aircraft. Research has indicated that collision injuries are less frequent and severe when vessels travel at 13 knots or less, which is about 15 mph, Walters said. Although proposals for a speed limit on the waterways have been tossed around, Walters said nothing will be set until the proper research is completed. "It's being considered as one option at some point," Walters said, "but we need to get more data on where the whales are, what they're doing, where the vessel traffic is and take it from there." Lyman also stressed that last season's six collisions were the only ones reported. Boat captains are required to notify NOAA officials of any accidents immediately. This year, Lyman said response boats will be equipped with satellite trackers to find entangled whales faster. Until now, response teams relied on antiquated VHF, or very high frequency, trackers, which required boats to be within a certain range of the whale. With satellite, a quick-response boat can go to the scene of the entangled whale within the hour and attach a tracker, while another team prepares equipment to free the whale. The satellite tracker will help the second team track down the whale more easily. When it comes to injured whales, the technology to help them is not available, Lyman said. Instead, he said the NOAA is focusing on outreach efforts like the workshops to prevent future collisions. » Report approach-rule violations and other incidents of humpback whale harassment to 800-853-1964. » Report injured, entangled and stranded whales, vessel-whale collisions and other marine mammal health concerns to 888-256-9840, or hail the Coast Guard on VHF channel 16. » Keep a sharp lookout. Operators are advised to post at least one dedicated whale lookout and operate from November through May. » Officials recommend boaters slow down when whales are present. Research states injuries are less frequent and severe when traveling at 13 knots or less. » Stay at the helm. Keep hands on the wheel and throttle at all times. » Keep your distance. Once a whale is sighted, stay at least 100 yards away. » Go around whales from behind while maintaining a 100-yard distance. Do not attempt to run out in front of whales to get past them. » Warn other vessels. Use appropriate VHF radio protocol or other means to alert other vessels.